In 2007 Finnish schoolchildren again ranked first in the international PISA survey, which measures the learning results of 15-year-olds. What kind of school produces these top results? What factors lie behind the success? We interviewed Aki Holopainen, Headmaster of Munkkiniemi School in Helsinki. Mr Holopainen is not surprised by the results of the PISA survey. He points out, however, that the conclusions to be drawn from the results do not apply merely to the school system. “A school is not a separate island of excellence — and there is a lot of room for improvement in schools too. In my opinion, the results of the survey are rather an indication of the values and potential of society. Children and adolescents grow up in an environment where education is highly valued across the board and where there is a high level of preparedness to do work. The value base is never questioned, there is generally a good, non-disruptive atmosphere in which to work, and there is a practical approach in all things,” says Holopainen, listing factors behind the success of Finnish schools. Holopainen is in charge of one of the biggest schools in Helsinki, with some 950 pupils and 70 teachers. The School has some 400 pupils studying in the 7th to 9th grades, which is compulsory, and 450 upper secondary school pupils. The upper secondary school is classless, in other words pupils complete courses at their own pace, the average time being three years. The school is situated in the west of Helsinki, in the middle-class suburb of Munkkiniemi. The oldest section of the school building dates back to 1951, and it was last renovated and extended in 2000. The building is pleasant and well-equipped, including a sports hall and seating area of more 900 m2, an assembly hall seating 700, a library with 23,000 volumes and the latest in information and teaching technology apparatus. Munkkiniemi School is a privately owned, but as far as the pupils are concerned there is hardly any difference between it and municipal schools. Tuition is free of charge at all levels in the school, the costs being covered mainly by central and local government grants. Being a private school means being administratively autonomous, but teachers’ salaries and the school’s disposable funds are largely equal to those of municipal schools. All the children living in the catchment area are guaranteed a place in the school, and other Helsinki children can be admitted by application if there are places available. 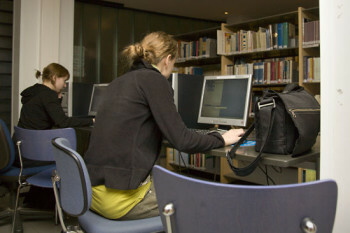 Admission to the upper secondary school depends on the average of the grades on the comprehensive school leaving certificate, and students can apply from anywhere in Finland. In Finnish schools, the grade scale ranges from 4 (fail) to 10 (excellent), and in order to get a place at Munkkiniemi School, a student must have a minimum grade average of about 8.2 to 8.3. “We’re a good school, but we’re not right at the top. This means that our pupils include quite ordinary boys too, not just high-achieving girls. About half of those who complete their minimum compulsory education at this school progress into our upper secondary stage,” Holopainen says. 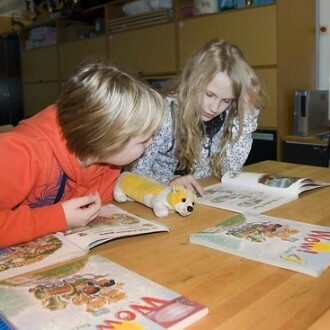 Munkkiniemi School has its own curriculum, which is based on the national curriculum. The national curriculum sets the compulsory subjects, the number of hours to be allocated to them and the contents to be taught. It is up to the school and the teachers to decide how the subjects will be taught. “The national curriculum is clearly-stated and extensive and by following it we ensure that pupils and students are left with no skill gaps. It also guarantees a uniform level of study and goals so that no major differences are created by school or by area. This must be one factor that explains the consistently high level of success that Finland reaches in the PISA tests,” Holopainen states. In the upper level of the comprehensive school, every pupil studies the core subjects, namely mathematics, one foreign language and the other official language (Swedish or Finnish depending on their mother tongue), natural sciences, history, social studies, religion or ethics, health education, music, arts and crafts, home economics, and physical education. The pupils also choose optional subjects. At Munkkiniemi School, there is a diverse array of electives on offer, thanks to the diversity of teaching staff: drama, basketball, home economics, art, technical work, textile work, physical exercise, media education, music, information technology, French and German. 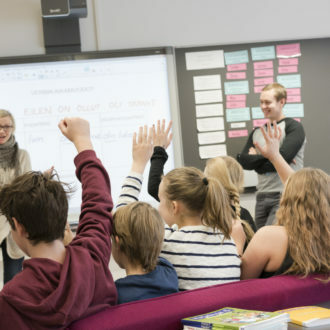 Upper secondary school has mainly the same compulsory subjects as the upper level of comprehensive school, with the addition of economics, law, psychology and philosophy. Munkkiniemi School specializes in extended mathematics courses, which start in comprehensive school and continue in upper secondary school. Why then do Finnish schoolchildren do so well in natural sciences? “The natural science curriculum contains an enormous amount of material, and to help assimilate it, we appeal to all the senses and use practical exercises. A wide range of laboratory and field work keeps up interest and motivation,” replies Tiina Virkki, who teaches geography and biology. “I also think it is important for subjects taught to be always connected to the society outside school. In biology and geography, for example, we achieve this via extramural ecological issues that will become increasingly important,” Virkki continues. Munkkiniemi School participates in the Green Flag project that is part of the international Eco-Schools programme in which an entire school community endeavours to reduce environmental loading caused by the school. From time to time, the media ask how things are going in Finnish schools. Are top-level learning results achieved at the expense of increasing stress and mental ailments? This question was last put to the public at the beginning of November 2007 in connection with the shooting at Jokela School. “In my opinion, things are going well, generally speaking. In fact, I think that for most young people things are going better than ever, but there is some polarization here. 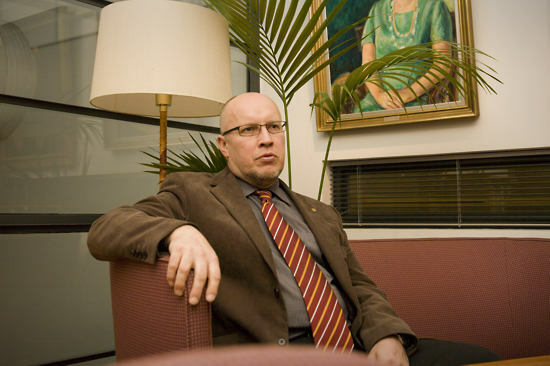 Some suffer from exclusion, and their situation can be difficult,” Holopainen remarks. Aki Holopainen, Headmaster of Munkkiniemi School in Helsinki. He feels the Jokela shooting was the act of a sick individual and does not see it as a symptom of a wider problem. Surveys conducted in Finnish schools have occasionally revealed that Finnish children do not enjoy school as much as children in many other European countries. This Holopainen puts down partly to cultural factors: when a Finn is asked ‘how are you?’, the reply is not automatically ‘fine, thanks’, but an honest description of his or her health at the time. In many countries, it would be bad manners or even provocative to talk about dissatisfaction or a community’s faults. Nor does Holopainen believe that the problems have increased, just that they have never been talked about so openly. “When we plan the schoolwork, we take into account the situation of individual pupils and make sure that not too many tests and projects are piled on to them at the same time. At our school we have a school social worker, a psychologist, a pupil counsellor and a pupil welfare team who look after the wellbeing of the pupils both pre-emptively and when someone starts to show symptoms. In my opinion, this system works,” Holopainen states. Primary responsibility for children lies, of course, with the parents, but the adults in a school community are an important support for young people. Many foreign visitors to Finnish schools remark on the friendly relationship between teachers and pupils. The pupils are on familiar terms with their teachers and address them by their first names, and they chat informally in the classrooms and corridors. “Finnish young people are smart, society-oriented, gregarious and family-centered. Parents are interested in their schooling and support it; cooperation with families is good. 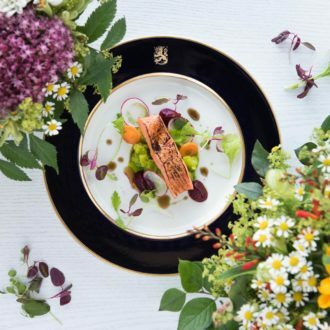 As I see it, our schools are producing young people who are not only capable but also mentally strong and well-balanced and who have a lot to offer the world,” Aki Holopainen sums up. Finnish children have repeatedly scored top marks in the OECD’s Programme for International Assessment (PISA). We look at the factors behind this success.